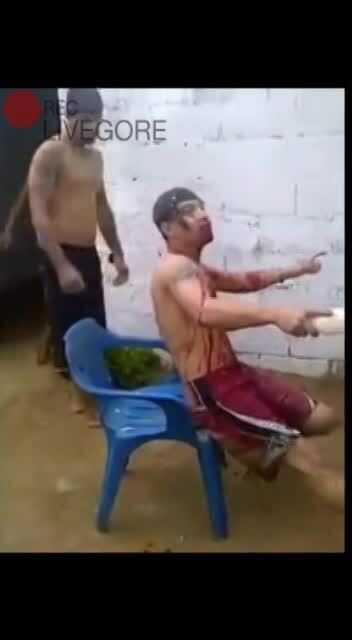 A demonic ritual, man cutting himself all with bottle. But it is very simple to understand it, it is a ritual or a demon embodying someone, and the scenes are quite shocking. Big Thanks To Our Friend @AK47 For The Video! !